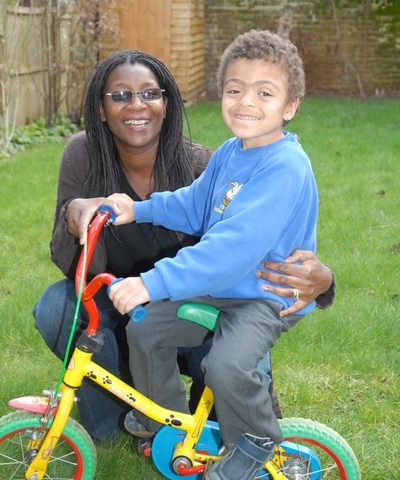 Harvey, pictured here with his mum Susan, now has lots of fun attending nursery. Harvey was diagnosed with a rare, life threatening disease, called Hurler's syndrome. Without treatment he would not have survived. Harvey began to show signs of suffering from asthma when he was only a few months old. However, when his asthma didn’t respond to conventional treatment, further tests were carried out and at 9 months old, he was diagnosed with Hurler’s syndrome. Hurler’s syndrome is a rare, life threatening disease and occurs when the body fails to produce a particular enzyme and without treatment he would not have survived. Harvey began enzyme replacement therapy to try and halt the disease while the search for a stem cell match began. A search of the stem cell registries showed that a match was available in a cord blood unit in Germany. It was hoped that a member of Harvey’s family might be a suitable bone marrow match for him but unfortunately no one was a close enough match. Thankfully though, a search of the stem cell registries showed that a match was available in a cord blood unit in Germany. Within weeks Harvey received his life saving cord blood transplant and was home again just six weeks after his treatment. Have you been inspired by Harvey's story? Register to donate your cord blood and help others like him. If you needed an organ transplant would you have one? If so, please register to donate organs after your death.